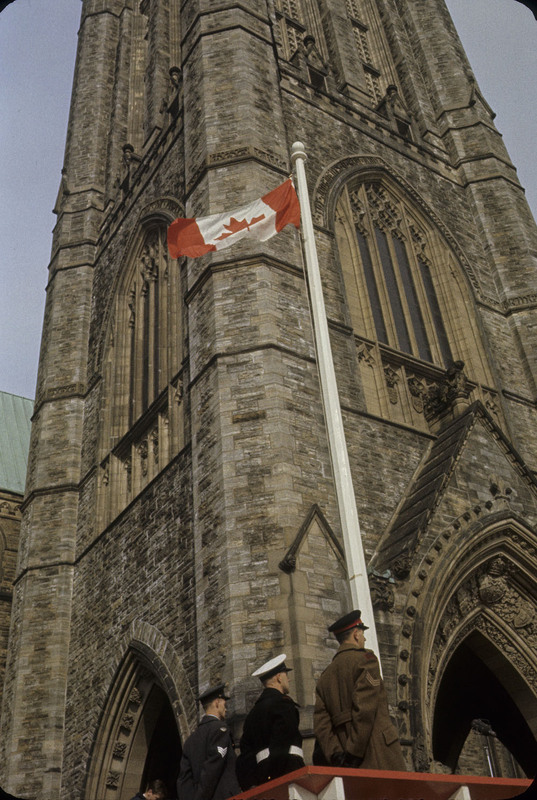 Fifty-one years ago today – on 15 February 1965 – Canada’s national flag made its first appearance on Parliament Hill in Ottawa. Before this date, the Canadian Red Ensign represented our country. Today is also the 20th anniversary of our country’s observance of National Flag of Canada Day. 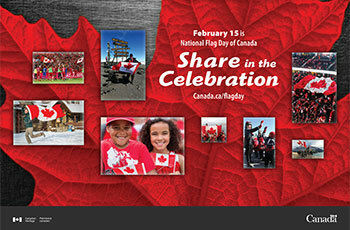 Although not a statutory holiday, Flag Day is celebrated across Canada since 1996. We are “invited to celebrate this important symbol of our Canadian identity” through activities such as sharing a photo or a video on social media of ourselves with the flag. Show your pride in our flag and join in the celebration! For more information, see National Flag of Canada Day. 1. Duncan Cameron/Duncan Cameron/PA-168019, Library and Archives Canada (http://www.collectionscanada.gc.ca/lac-bac/search/images : accessed 13 February 2016). 2. Government of Canada (http://canada.pch.gc.ca/eng/1449158599459 : accessed 13 February 2016), “National Flag Day of Canada” poster.